In honor of Earth Day, Thomas Doherty, past president of APA Division 34, has produced a series of brief videos about environmental approaches in psychology. These were made with intro psychology students in mind but also designed to be accesible to other students and the public. You are free to use and share. If you want to dive in, start with video #3. It's Thomas's favorite and asks the viewer to consider her or his own connections with nature in the context of their culture and diversity. Full playlist (~10 mins total): https://www.youtube.com/playlist?list=PLRfHZ9wXKs6dptZx0YVwH0B-H0T4VOK57. Article: "Teaching intersectional LGBT psychology"
Article: "We Talk about Race Too Much in This Class!" Human Rights 101 offers an overview of human rights intended for a one-day or two-day reading and discussion for any interested class. It may be downloaded and distributed without cost to faculty or students. Neil Wollman, Manchester College, and his colleagues have written, Principles for Promoting Social Change. The file is arranged in a booklet format. Pages should be collated and folded in half to create the booklet. For a PDF download, click here: Principles for Promoting Social Change (2nd Ed). The file is arranged in a booklet format. Pages should be collated and folded in half to create the booklet. Hard copies can be ordered from SPSSI. 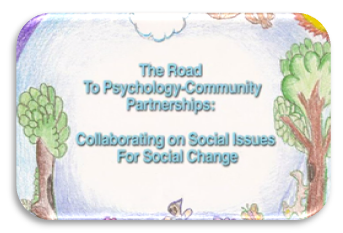 The Making Connections website (http://makingconnections.redlands.edu), sponsored by the APS Fund for the Teaching and Public Understanding of Psychological Science, was designed to provide instructors with psychological research findings and other scholarly information on specific social issues and assist them, both pedagogically and conceptually, in linking those social issues to the psychological constructs and theories discussed in their classes. The website includes (1) summaries of articles addressing social issues from recent peer-reviewed social science journals, (2) suggestions for “making connections” between specific research findings and psychological constructs, (3) supplementary podcasts, film clips, and articles, (4) pedagogy-focused resources on curriculum development, classroom activities, teaching strategies, and service learning, and (5) links to professional and non-profit organizations with information on social issues. The website material is searchable by issue as well as relevant psychological construct and addresses such topics as truancy intervention, cultural socialization in transracial adoption, LGB victimization in the military, smartphone technology in behavioral healthcare, disability and childhood violence exposure, manifest ethnic identification in employment situations, global warming beliefs, anti-bullying programs, and resilience among Afghan women.